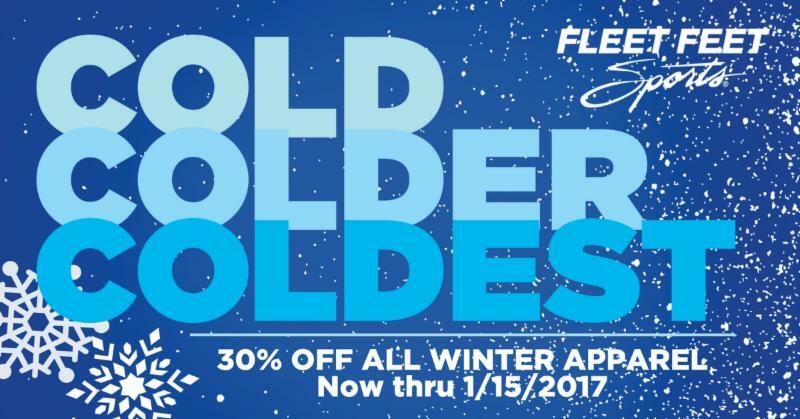 Through Jan. 15, 2017: All Winter Apparel on Sale! Home › Latest News › Through Jan. 15, 2017: All Winter Apparel on Sale! We love winter workouts as much as the next guy, but let's be honest, the cool gear just keeps coming! So we're gonna keep the current stuff moving. Stop in with your holiday gift cards and get a sweet deal on stuff that you'll still be able to use for (gulp!) months.